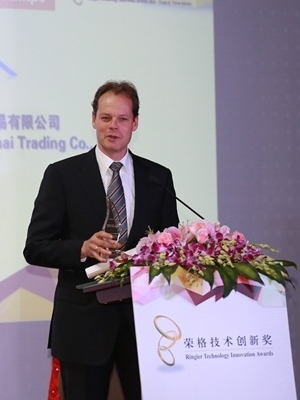 The awards ceremony was held at Shanghai Crowne Plaza on 19 May 2014. Across five categories, approximately 20 winning companies featured their innovative products and technologies, which included centrifugal pumps, jet pumps, valves, seals and ancillary products. In the positive displacement pumps category, Verder Liquids received the award for the new and innovative Verderflex Dura 5 and Dura 7. According to the jury, prize winners develop, produce and market products and technologies that drive development in China’s pumps and valves industry. The Verderflex Dura 5 and Dura 7 pump range comprises high-pressure low-volume (HPLV) hose pumps, dosing less than one litre per hour at five or eight bar in a rugged hose. Benefits of the HPLV pumps include superior secondary containment, no more dry running problems and long-life hoses, which reduce maintenance costs and increase service intervals.